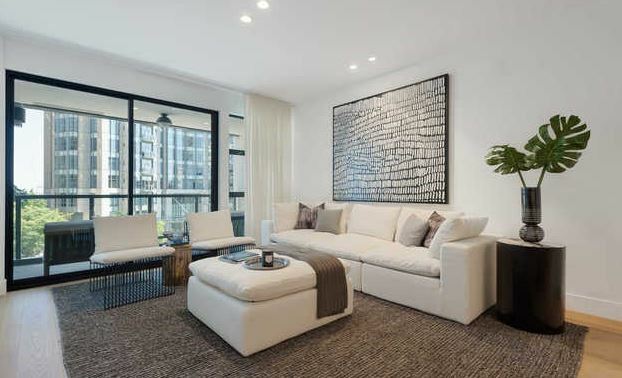 Firstly, the one bedroom condominiums that sold varied in price from $630,000.00-$1,498,000. Furthermore, as mentioned in many previous monthly articles that I write about the Wilshire Corridor, price varies depending on the building, amenities, location, age of building, updates within a unit, location within the building etc. Interestingly, this month there were four 1 bedroom, eleven 2 bedroom, and four 3 bedroom condominiums sold. They vary in price, square footage, amenities, location within the building, age of the building, interior enhancements etc. If you are considering buying, selling, or leasing, contact me for expertise and assistance. 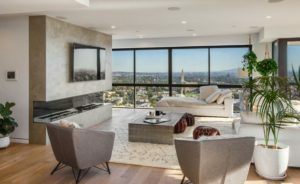 The one bedrooms varied in price from $589,000.00 for 833 square feet at 10433 Wilshire to $750,000.00 for 580 square feet at 10501 Wilshire on a mid height floor. Especially relevant, is the difference in some of the above named variables to determine value. Secondly, of the eleven 2 bedroom condos sold, several used square footage for a den. 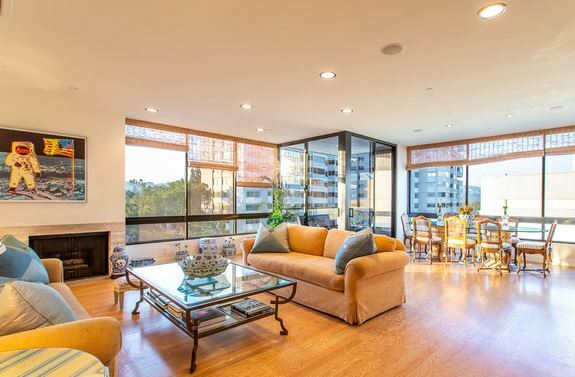 Also noteworthy, the lowest price for a 2 bedroom is $825,000.00 at 10450 Wilshire for 1080 square feet. 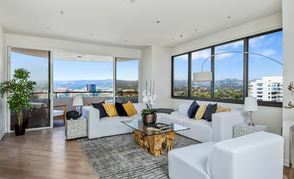 Furthermore a condo at 865 Comstock sold for $835,000.00 for 1402 square feet . 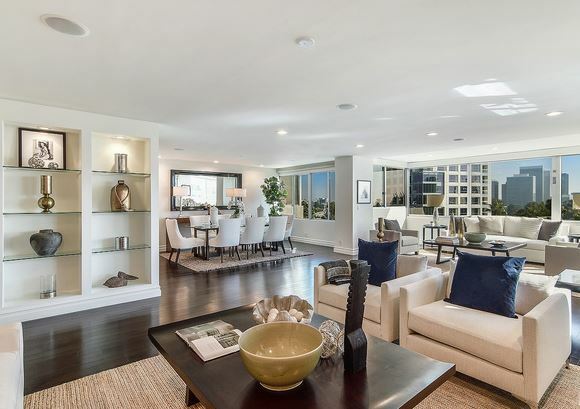 Additionally, prices on the high range were$2,750,000.00 for 10776 Wilshire with 2765 square feet. That’s about $1000.00 per square foot. This building is newer construction, 2 bedrooms and a den and very updated in a upper floor prime luxury building built in 2010. Thirdly, of the four 3 bedroom condos sold ,the lowest priced was $1,275,000 at 10433 Wilshire . Comparatively, it has 1824 square feet and great Northern views of the hills of Bel Air. This unit is in a building that is older than some buildings that command higher prices. Furthermore, three bedroom units are always in demand. At 10660 Wilshire with 2608 square feet a condo sold for $1,719,000.00.I was the leasing agent for this unit to various clients for many years. It needed updates and commanded this high price for the premium of square footage available. Additionally this condo had great views of Century City all the way to the ocean on a clear day. 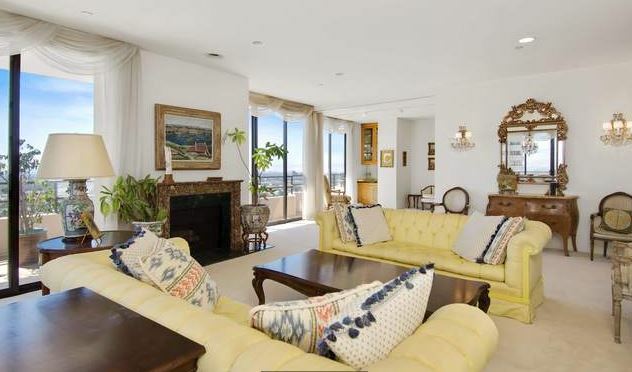 At 10601 Wilshire a 3 bedroom with 3100 square feet sold for $3,625,000.00. 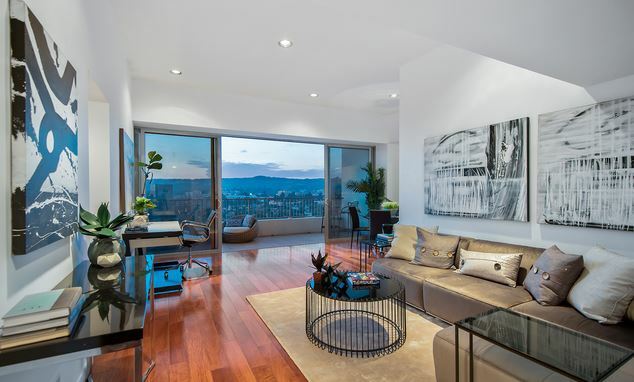 Also, 10727 Wilshire I sold unit 1402 with 3277 square feet for $3,200,000. It has wonderful Northern views in the Remington, known for excellent service. 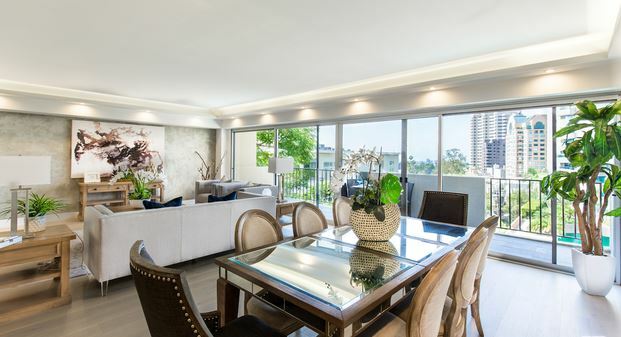 Sold Wilshire Corridor Condo October 2018 at 10433 Wilshire. 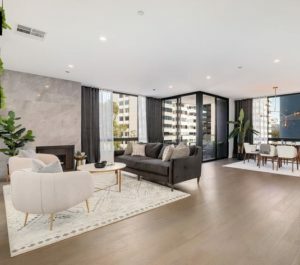 Wilshire Corridor condominium sales December 2018 include 7 sales. Five condos sold were 2 bedroom with 3 bathrooms with varying square footage. All were indifferent buildings. One 3 bedroom ,4 bath condo sold which combined 2 units. One 1 bedroom with 2 bathrooms sold. First, the two bedroom condos that sold were in different buildings. Prices vary due to square footage, location, upgrades,amenities, age of building, location within building, views etc. 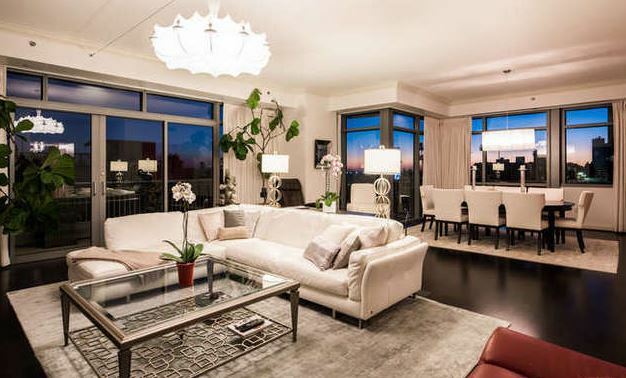 Noteworthy, a 2 bedroom penthouse sold in 10501 Wilshire. Furthermore, it has Northern views, a large terrace and is upgraded with beautiful interior finishes. Additionally, square footage is 1,191 which has a balcony making the space look visually larger. 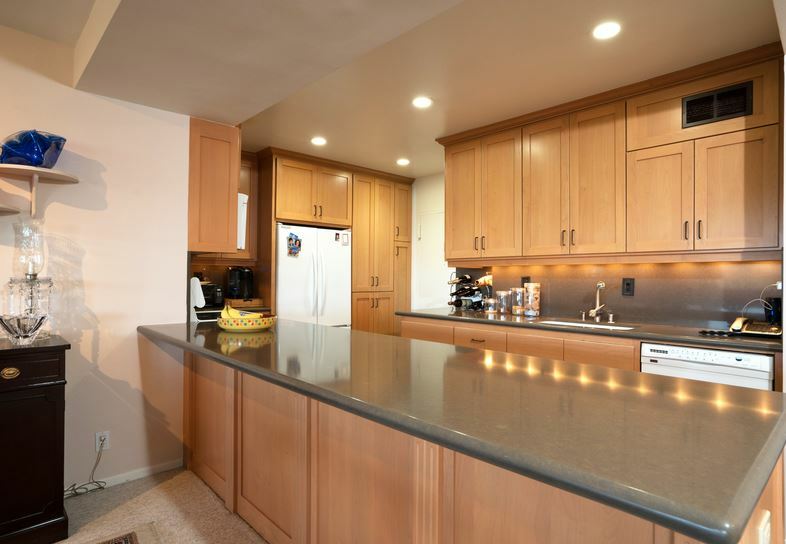 A good value at $1,025,000.00 as the building has many amenities. 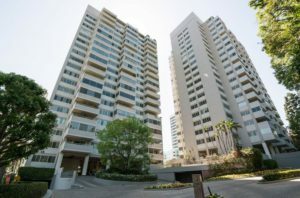 (learn more about this building or other ones on my website http://www.caronschwartz.com: or about the Wilshire Regent https://www.youtube.com/watch?v=v4o3VmP2Ulk&t=14s .Similarly, a 2 bedroom 3 bathroom condo sold at 10350 Wilshire but had larger square feet at 1834 and was less updated for $1,125,000.00. Other 2 bedrooms sold in 10430 Wilshire with 2803 sq feet for $1,800,0000.00 and another in 10490 Wilshire with 2776 sq feet for $2,500,000.00 . 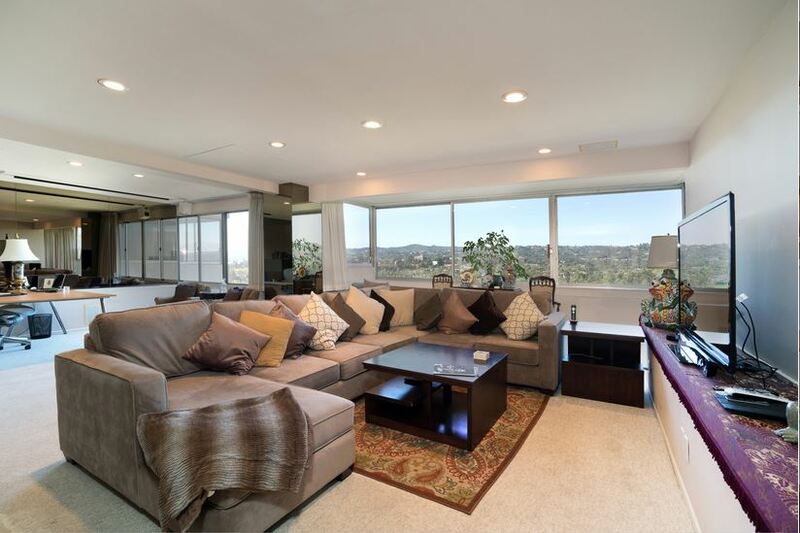 Secondly, the 3 bedroom condo that sold is at 10433 Wilshire. 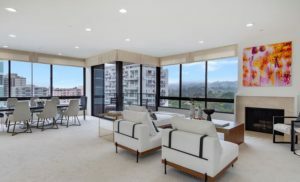 It sold for $1,520,000.00 Additionally, this unit has nice Northern exposure views. To understand value on the Wilshire Corridor, contact Caron Schwartz for invaluable experience in the area . 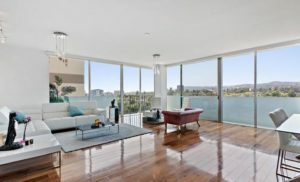 Thirdly, the one bedroom at 10777 Wilshire, the Liddel, sold for $1,368,000.00. It has 1215 square feet. As the Wilshire Corridor’s newest building, it has beautiful community spaces and all the fixtures inside are the latest in contemporary design. 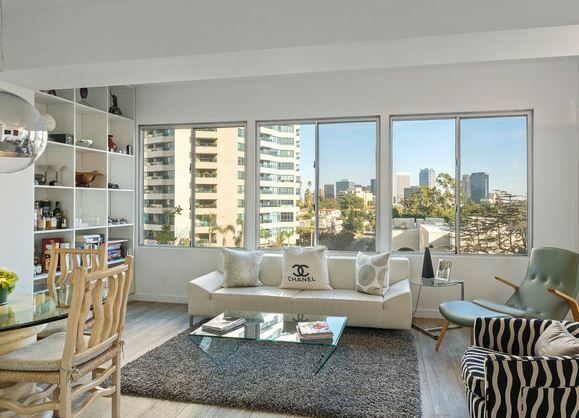 Wilshire Corridor condominium sales February 2018 include 6 condominium sales. There is high demand for condominiums as interest rates remain low and there is still less inventory than demand. The Wilshire Corridor is a fabulous location to live in Los Angeles due to convenient location, security and amenities most buildings offer. If you are looking for a condominium to buy ,sell or lease on the Corridor, you’ve come to the right place. Firstly, of the 6 condominiums that sold in February four were 2 bedrooms and two were 1 bedroom condos. The two bedroom sales were in the Mirabella, Crown Towers, Blair house and Diplomat. For more information on all the buildings on the Wilshire Corridor you can preview them on my youtube videos . I have many individual building previews . Secondly ,the 2 bedroom condominiums that sold varied in price . 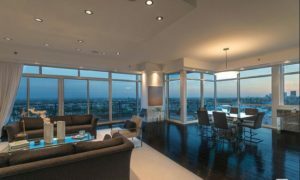 The condo sold in The Mirabella for $2,050,000.00 has 2213 sq feet and was on a high floor with great views. 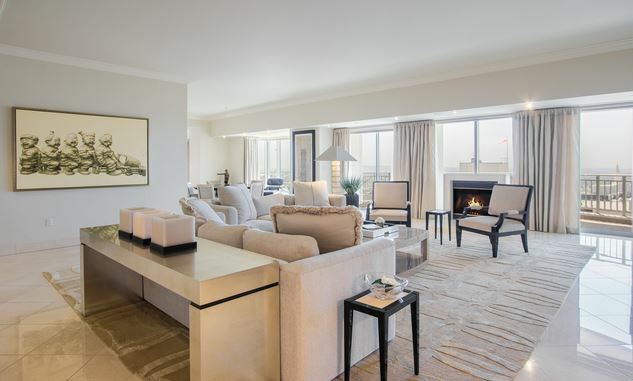 Similarly a condo sold in the Blair house . Purchase price, $2,300,000.00 with 2776 sq feet on a mid floor . 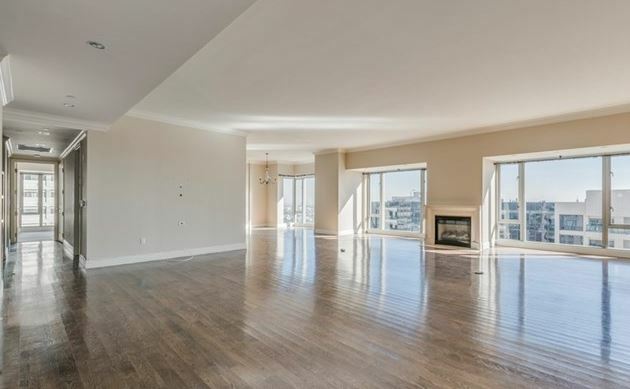 Additionally a condo in the Diplomat that has 2045 sq feet sold for $960,000.00 . The amenities in the buildings are similar. 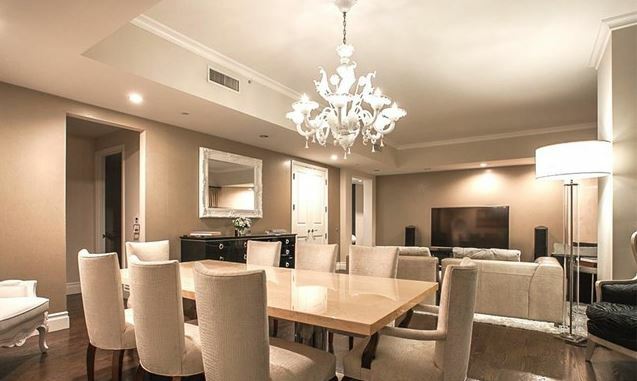 Lastly a condo in the Crown Towers with 1356 sq feet sold for $899,000.00. The square feet, condition of condo, age of building, location within the building etc. all have to do with value and sales price. 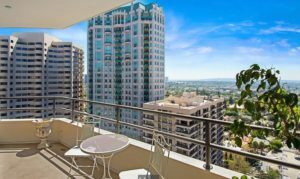 Thirdly, the 2 bedroom Wilshire Corridor condominium sales February 2018 include units sold in the Wilshire Regent and the Wilshire Terrace. Uniquely, the Wilshire Terrace is a co op so units sold have to be cash and approved by the board. Likwise, The Wilshire Regent is unique for its guest suites that can accommodate a friend visiting. This building also has some offices that allow you to work and live in the building. In addition it has a beautiful pool, and gym, concierge, etc. 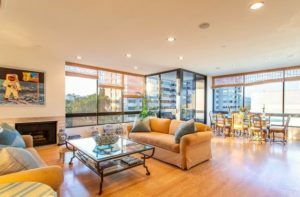 Wilshire Corridor condominiums for sale February 2017 include over fifty condominiums for sale. 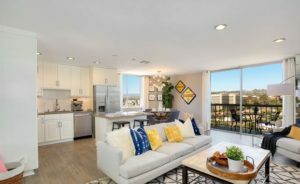 There are many 3 bedroom condominiums for sale which are in high demand as people downsize from large homes and look for luxury condos in Los Angeles. Twelve 3 bedroom condominiums are currently for sale . There are two bedroom with a den condos for sale. Average prices range one to four million for these larger homes. These larger condominiums are spacious . 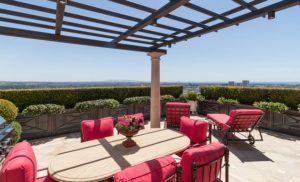 Wilshire Corridor condominiums for sale February 2017 include high price luxury properties. There is a 3 bedrooms with 4 bathrooms available for $20,000,000.00 . 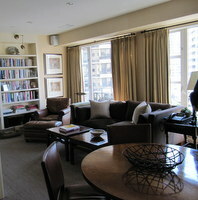 There is a penthouse available for $13,500,000 .00 This 3 bedroom 6 bath penthouse has 5770 sq ft. The balcony is in the photo above. 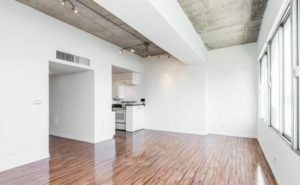 Condos this month start at $525,000 for a one bedroom under 1000 sq ft. There are condominiums available in all price ranges in buildings like the Diplomat, The Remington, The Californian, The Regency Wilshire, The Wilshire House, The Carlyle, Ten Five Sixty etc. The Remington pictured below has a floor 3 bedroom 4 bath condominium for $3295.000 with 3211 sq feet. This building currently has four condos of various sizes available. 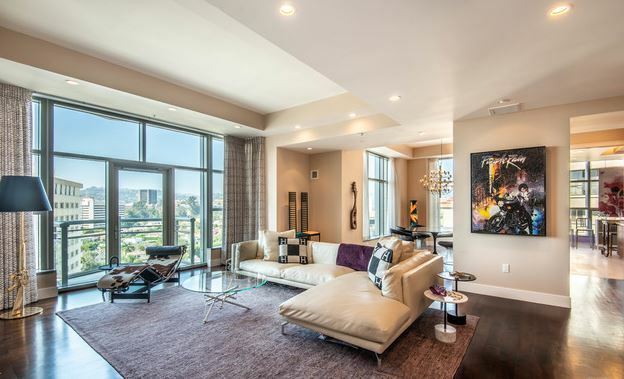 A beautiful contemporary condo is the featured picture in the Diplomat. 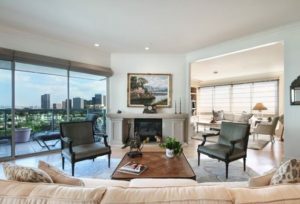 This unit has 2352 square feet, views of Century City 2 bedrooms and 3 bathrooms for $1,999,000. Living on the Wilshire Corridor allows you easy access to Beverly Hills, Century City, Freeways, UCLA and many areas in Los Angeles that are close by. Westwood has a Whole Foods, Ralph’s, Trader Joe’s, Bristol Farms, Sprouts , Gealson’s markets all close by. There are many different ethnic restaurants close by and various retail shopping destinations. Theaters, museums , golf courses and parks are easily accessible. There are great public and private schools are nearby. These are just some of the reasons people choose to live on the Wilshire Corridor. The spectacular views, gyms, security, valet parking, pools, tennis, are just some of the amenities many buildings offer. Let me provide the expertise you need to find the right condominium for you in the area. Visit my video’s on my website detailing all the buildings on the Wilshire Corridor. Condominiums for Sale Wilshire Corridor January 2017. We are off to a new year of sales . The Wilshire Corridor is one of Los Angeles most exciting areas with luxury condominiums for lease, and sale. 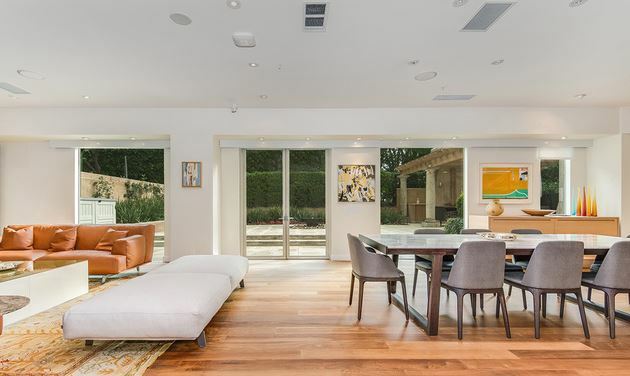 Whether you are buying or selling , this strip of condominiums that stretches approximately a mile within 5 minutes to Beverly Hills, Century City, Bel Air, UCLA, freeways and Westwood. Within this radius you have shopping, theaters, museums, great schools, places of worship, golf and restaurants. Currently there are approximately 52 condominiums for Sale Wilshire Corridor January 2017. They include 1,2,and 3 bedroom Condominiums in buildings that have security. Many amenities available include fitness rooms, pool, conference room, entertainment room, valet parking etc.Living on the Wilshire Corridor means you are close to Westwood, UCLA, Beverly Hills, Century City and freeway access. You are also close to Bel Air, Brentwood, Santa Monica and Hollywood. So whether it is your favorite restaurant, Pilates Studio, movie theater, or friend you want to visit, you are located in a central location. 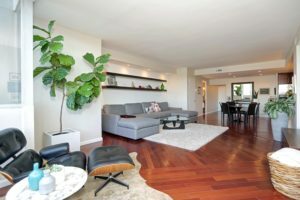 Choosing a condominium to buy on the Wilshire Corridor requires you know a price point you are interested in. Contact me to help you research what is available, what you can purchase for your budget. You must know how many bedrooms you would like. It is important to know if you want to update or prefer something that is newer. Other price differences will be due to age of the building, location within the building, amenities, homeowner dues, etc. View the available properties on the link below: Contact me for further detail and to set up appointments to show you properties for sale. 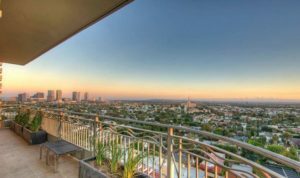 Wilshire Corridor Sales September 2016 include 12 sales. 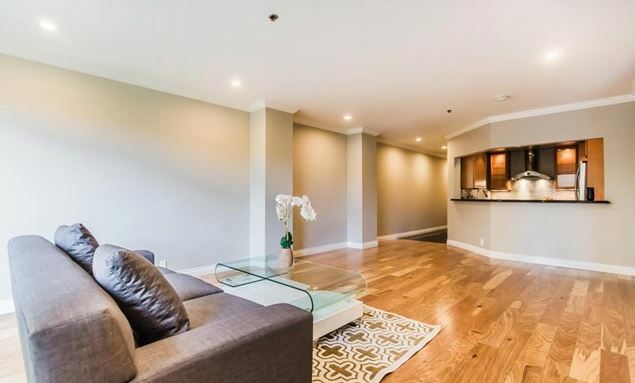 The lowest price 1 bedroom sold for $535,000 in a great full service amenity building ,The Park Wilshire. There were 3 one bedroom sales, 5 two bedroom sales and 4 three bedroom sales. The two bedroom condo sales were in a range of $689,000- $1995,000. The three bedroom condominium sales were in a range of $2085,000- $$4862,000. 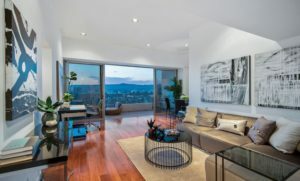 What stood out the most to me this month were the higher floor units that sold with 3 bedrooms and had amazing views. 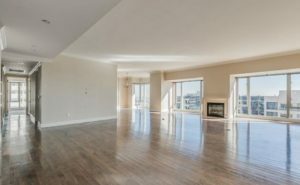 Three bedroom condominiums are always in hot demand as a residential single family home alternative. 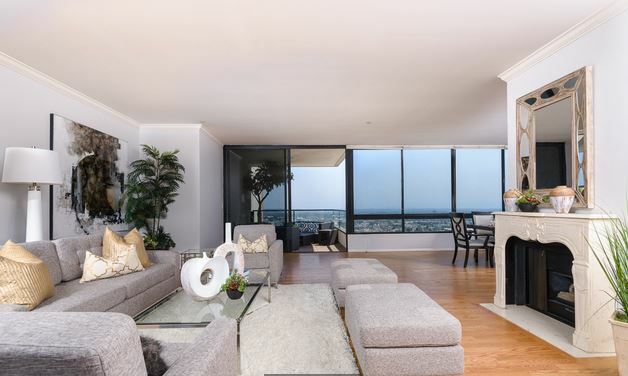 Purchasing a unit with incredible views and the full service amenities along the Wilshire Corridor provides Los Angeles Luxury living at its best. If you want to live in a high rise in Los Angeles, The Wilshire Corridor is certainly one of the better luxury destinations. Several buildings have tennis courts as well as pools, gyms, concierge, valet parking etc. 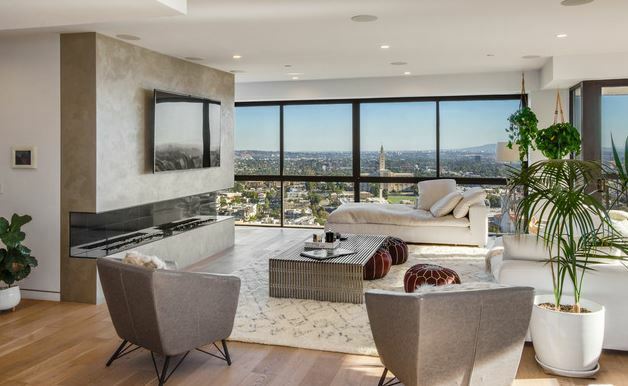 The three bedroom purchases this month had outstanding views.Typically on the South side of Wilshire, the Southern views are most desirable as they can capture Century City, the Ocean, and Downtown Los Angeles. This month those sales were in the Californian, The Remington, and the Wilshire House. Typically the three bedroom condominiums have 2300-3000 sq feet. 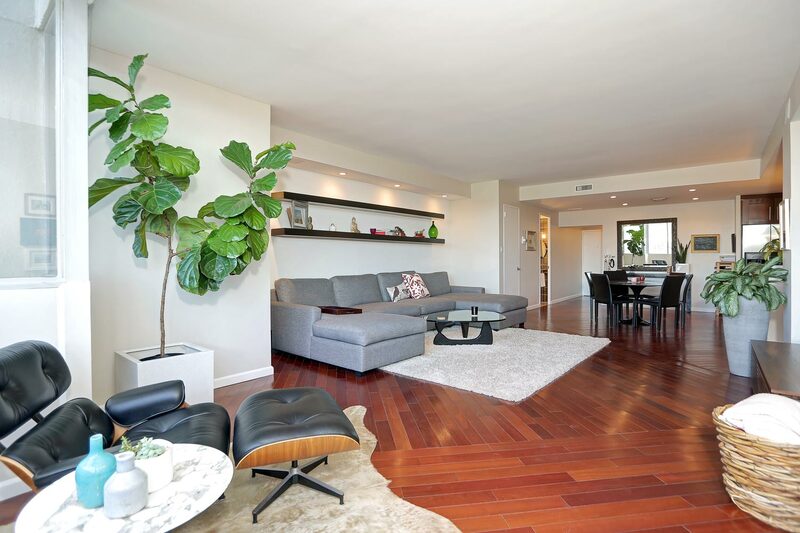 A lower floor 3 bedroom in the Comstock sold for $801,000 above asking of $729,000. This was a good value. 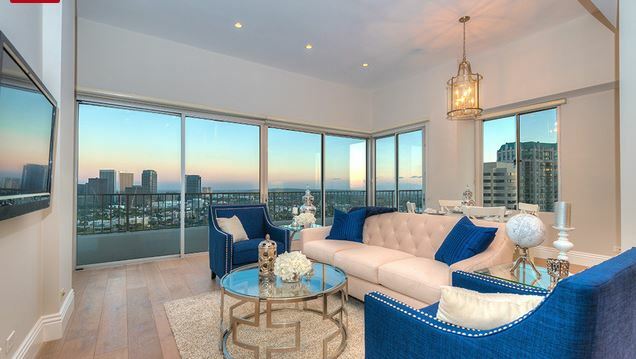 A two bedroom with very good Southern views sold in the Diplomat this month with 2330 sq feet for $1,850,000 . The interiors were already upgraded and this building has nice outdoor terraces! Win Win! Beautiful 2 bedroom condominium facing North on the Wilshire Corridor with sweeping views of Bel Air and Westwood.! The Wilshire Comstock completed beautiful renovation of lobby and hallways. Walk to Holmby Hills Park 1 block away. 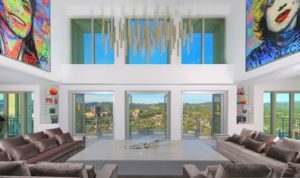 Grand living area with views of the hills of Bel Air and walls of glass! 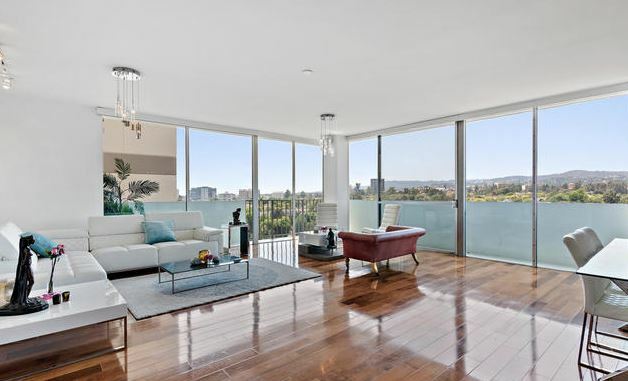 1400+ sq ft, if open floor plan with updated kitchen overlooking entire living space, Large master suite, and 2 bathrooms .The Wilshire Corridor serene views are something in high demand. The building offers 24 hr valet parking, doorman & controlled access, switchboard, on-site manager, banquet room, fitness center, swimming pool, spa and sauna! The great thing is it is located minutes to Beverly Hills, Century City, UCLA and Westwood! Living on the Wilshire Corridor offers so much . No more home maintenance, the ease to come and go, amenities and comfort. Relax and enjoy all that your new home offers. Living in Westwood allows you to be in the center of all Los Angeles has to offer, yet the quiet of a neighborhood that is primarily residential and so close to so many great things to do. Warner Ave Elementary and Sinai Akiba Academy are so close. City Target, Whole Foods, Gelsons, Trader Joes, movie theaters, places of worship, museums, etc are close by. SOLD Contact http://www.https://www.caronschwartz.com for all your real estate needs. Why me? 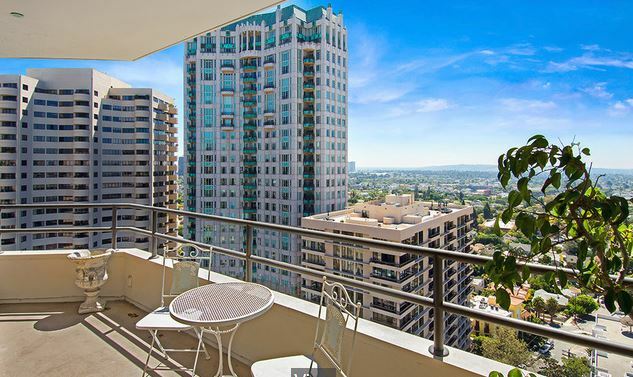 Why call me when you’re looking for a Wilshire Corridor Condominium for sale? As a resident and realtor in the area I know each building on the Wilshire Corridor intimately. 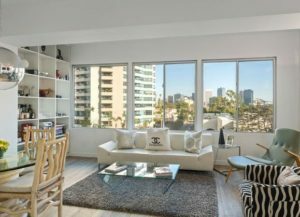 You need only go to my website at https://www.caronschwartz.com to begin seeing how much information I provide to get started reviewing condominiums on the Wilshire Corridor. I make it my business to know as much as possible about Westwood and the real estate in the neighborhood. Whether it is The Wilshire Corridor, Holmby Hills Real Estate, Westwood Hills, South of Wilshire, Bel Air, Beverly Hills, I am informed. Why do you want to live or why are you living in the area.? Westwood is so central to UCLA, Westwood Village, Century City, Beverly Hills, Bel Air, Freeways, and a quality lifestyle. Great Schools, close to shopping restaurants and places of worship. All the many great reasons to live in the area. There is value living on the Wilshire Corridor. Without the worry of home maintenance, you can close the door and spend your time on other aspects of life. Your life is enriched by the amenities each building has to offer.